This week's Deal of the Week is the unlocked Motorola G5 Plus LTE Android phone at $209.99 for the 32 GB model or $259.99 for the 64 GB version. The deal is available at Best Buy, B&H and Motorola. If you have Amazon Prime and are OK with lockscreen ads and a perma-locked bootloader, the Prime Exclusive G5 Plus is currently $179.99 for the 32 GB model or $199.99 for the 64 GB variant. The regular price of the 64 GB G5 Plus is $299.99 for the 64 GB model and $229.99 for the 32 GB version. The 64 GB model has 4 GB of RAM vs 2 GB for the 32 GB one. I recommend springing for the 64 GB as double the RAM should give a noticeable performance boost. The G5 Plus runs Android 7.0 Nougat. It features a Snapdragon 625 SOC, 5.2 inch 1920x1080px IPS display, memory card slot, headphone jack, fingerprint sensor, dual band WiFi, 12 MP main camera and 5 MP front cameras. The 3000 mAh battery is not user replaceable. It's a "universal unlocked" phone that works on all four US national operators and most international carriers. There's support for quad-band GSM; CDMA 800, 850 and 1900; UMTS/HSPA+ bands 1, 2, 4, 5 and 8 and LTE bands 1, 2, 3, 4, 5, 7, 8, 12, 13, 17, 25, 26, 38, 41 and 66. VoLTE is supported on T-Mobile and Verizon. Wi-Fi calling is also supported on T-Mobile. iPhone SE 128 GB $229.99 (reg $499.99). Free and Discounted phones for port-ins: LG Fortune Free, ZTE Overture 3 Free, CPO Alcatel One Touch Flint 99¢, CPO ZTE Sonata 3 99¢, CPO Alcatel Streak 99¢, CPO Alcatel Pixi Theatre 99¢, CPO Samsung Galaxy Sol 99¢, CPO HTC Desire 520 99¢, CPO HTC Desire 625 99¢, CPO LG Risio 99¢, CPO LG Spree 99¢, LG Harmony $9.99, Samsung Galaxy Amp 2 $19.99, Alcatel PulseMix $39.99, LG X Charge $49.99, Alcatel Idol 4 with VR Goggles $49.99, Samsung Galaxy Halo $49.99, Alcatel Idol 3 $69.99, ZTE Blade X $69.99, HTC Desire 555 $89.99, ZTE Blade X Max $99.99, Alcatel Idol 5 $119.99 when you port your number to Cricket. Updated 1/13: Price cuts and new deals since Sunday are in bold. Dennis. Just want to say. I look forward to this column each Sunday. I agree, it has become a standard Sunday morning routine for me to check for the latest phone deals. Same. I initially started watching this for the AT&T iPhones before they clamped down on the unlocks but I still come here every Sunday to look at the deals. The Verizon Prepaid LG K8V can be had for $45 in brick and mortar Walmart stores. FYI: B&H also has the Moto G Plus 5th Gen 32/64 on sale for the same price. Has it been mention on how far into the future Lenovo is going to support the Moto G5/Plus? isn't the G plus cheaper to unlock than the LG K8V? Need a $45ish phone to use on Mint. Appreciate any suggestions. The LG K8V is a lousy choice for a T-Mobile MVNO like MintSIM as it lacks LTE band 12 and UMTS band 4. I can't think of any $45 phone called the G Plus. Check eBay for current unlocking prices. Dennis, how about the Verizon Moto E4 for @50$, is that fine for Tmob, Att? Dennis, Would the Huawei Elate work with Freedompop without unlocking? Looked but not obvious. What do you think of the phone? Seems like camera is decent. Small issue but there is no NFC. Cricket phones need to be unlocked to work on AT&T or AT&T MVMOs such as FreedomPop. Got a link? Frys.com is showing me $209.99 for the 32 GB and $259.99 for the 64 GB. Who cares if it's not prepaid when T-Mobile offers BOGO deal on iPhone 8, $700 off for iPhone X or 8. Trade in any functional iPhone 5S or S4 without a cracked screen. Combine with 55+ plan and it can't be beat! I see your point, but considering the popularity of the discussion of sub-$100 phones here, many who get prepaid phones (and not just those who come here to discuss them) will still say "no" to a BOGO deal that after taxes and line requirements and various "gotchas" would still likely mean that each iPhone under this deal would still end up really costing $600 each. So yeah, the guys discussiog Moto E4 deals still aren't going to be dragged in by a two-for-$1200 iPhone deal. Prove me wrong: any of you guys rocking those $70 Alcatel's going to jump for this T-Mobile BOGO? "Little Boy BLU" how about you? Changed your mind? Pay $1,450 plus sales tax for two iPhone 8 64GB models with SIM kits. Pay $60/month for two lines Tmo One 55+ plan, including taxes and fees. After 8 weeks, get a prepaid card loaded with $700, so the two iPhones cost ~$375 each plus sales tax, plus anything you lose after you trade in a working $50 iPhone 5S or S4 (Tmo gives you a little credit for these). ~$400 +tax for a new iPhone 8 and Tmo One for $30/month x 2 is an unbeatable deal. Many people will be satisfied to save $35 x 2 on Moto E4 (one tenth the $700 savings above). I tried one, and it was a nice, plain, basic smartphone. Why stop there? More than 510M flip phones were sold worldwide in 2016. Warren Buffett still uses a Samsung flip, even though he is one of the top 3 Apple shareholders. Everybody can pick their own bests deal, even if it's just a used $25 iconic Moto Razr V3 flip (save $475 off original list price!). I have the Moto G5 Plus which I currently use with Freedompop data sim and Google Voice/Hangouts. 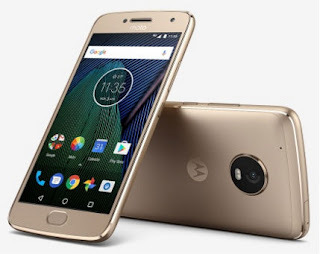 I'm wondering if anyone here has gone from the Moto G5 Plus to the Moto X4, and what their experience was. The physical dimensions of both phones appear to be very similar. I may go to Project Fi sometime in the far future, and the X4 may be a good phone to use on Project Fi. Seems metro promo for free galaxy j7 and likewise is over. When you touch the link you get an error page and also the 4 for 100 promotion too. The j3, the lg aristo and the moto e4 are still free with port. Thanks, it looks like the change happened today as the old offer were still there when I checked around 9 AM PT. It looks like the prices of a bunch of phones also went up by $10 today. Where do you see the Moto E4 advertised as free with port-in? I'm only seeing the Aristo and the J3. Thanks. They don't make it easy, do they. That's for sure. Almost like they dont want you to notice! Boost Mobile Site - MLK Day Sale - Get an extra 15% off Android phones. Save $70 on the Alcatel Idol 4S Win10 at Microsoft if you don't want the VR kit. $99 is a real bargain for this high-spec, metal and glass phone with SnapDragon 820, 4GB RAM, 64 GB ROM, full HD 5.5", USB C fast charging, Sony 21 MP camera, Continuum support and fingerprint sensor. (sorry if I trigger the WinPhone troll). I just ordered one. A MSFT Display Dock on eBay starts at about $25; turn your phone into a basic Win10 HD PC with separate monitor, KB and mouse. Samsung S9 and S9 Plus showed up at FCC website with Band 71 and 66 support for T-Mobile's latest spectrum deployment. 10 more new Band 71 phones are expected from Tmo this year.